The Frontier Culture Museum of Virginia tells the story of the thousands of people who migrated to colonial America, and of the life they created here for themselves and their descendants. These first pioneers came to America during the 1600s and 1700s from communities in the hinterlands of England, Germany, Ireland, and West Africa. Many were farmers and rural craftsmen set in motion by changing conditions in their homelands, and drawn to the American colonies by opportunities for a better life. Others came as unwilling captives to work on farms and plantations. Regardless of how they arrived, all became Americans, and all contributed to the success of the colonies, and of the United States. In conjunction with the celebration of American independence, in 1975 a group of ambitious individuals proposed the creation of an expansive outdoor museum that would interpret the contributions made by settlers from backcountry communities of England, Germany, Ireland, and West Africa that pioneered our Western frontier in the 1700s. In 1978, the Virginia General Assembly authorized the Jamestown-Yorktown Foundation to prepare a feasibility study for the land at the junction of I-64 and I-81 as the potential museum site. The study concluded that the site was exceedingly well suited for what would be become the celebrated Frontier Culture Museum of Virginia. Today, the Museum operates as an agency of the Commonwealth of Virginia. Additional support for the Museum comes from generous donations. Incorporated in 1982 as a tax-exempt, 501(c)3 organization, the American Frontier Culture Foundation is empowered to accept all private donations for the museum. 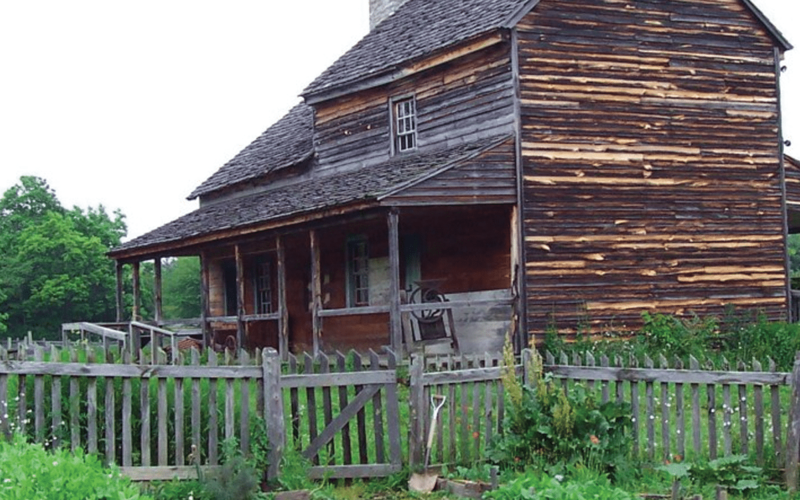 Donations support current and new permanent and temporary exhibits, the acquisition and reconstruction of historic buildings, the reproduction of historic buildings and furnishings, and the preservation of historic buildings and artifacts at the Frontier Culture Museum. Donations also provide the Museum with resources for illuminating teacher education programs, entertaining lectures, workshops, special programs and much needed school field trips to the Museum.